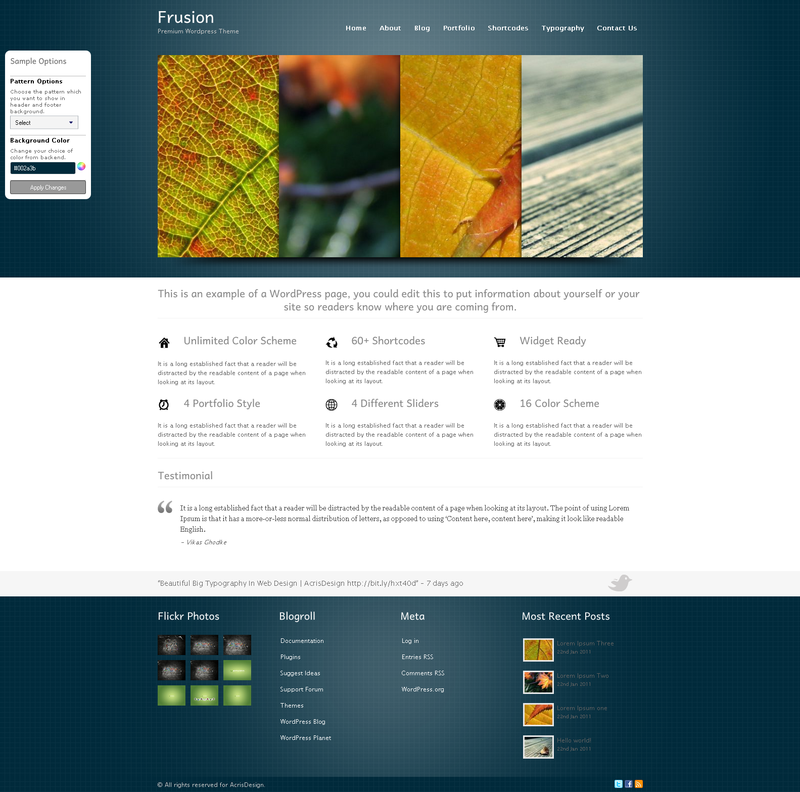 Frusion is a Powerful Professional Premium WordPress theme made for your Blog, Portfolio, Business or almost any other kind of website. Frusion admin panel gives you full control over every major design element throughout your site. Frusion admin panel come’s with the color and font options like you can change elements such as links, text, titles, headings, logo text and much more. where you can customize you website more than you could ever imagine. Take a look at the list of features below to see everything included in this theme or just visit live preview. Please re-download this item from your account to get the new update.